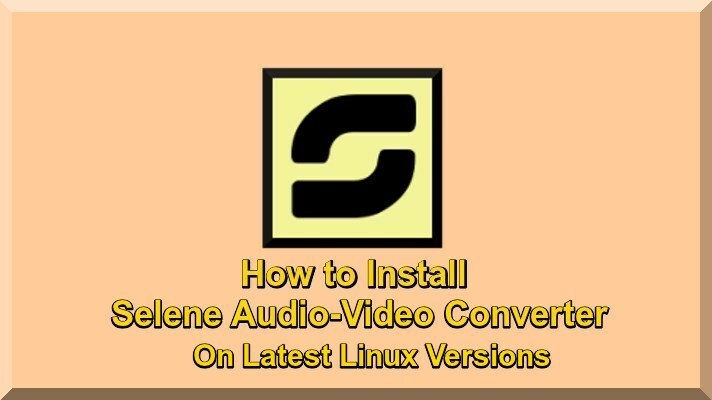 By this useful Article I guide you that how to install Selene Media video and audio converter which is specially developed for Latest Ubuntu and Linux Mint versions other popular Latest Linux Distros. Selene Media Converter is to provide simple GUI for users to convert popular format files with powerful command and also automated encoding. It offers ten file formats such as WAV, MP3, AAC, FLAC, OPUS, MP4, MKV, OGG, OGV, WEBM. Now I guide you step by step how to install Selene Media converter. This is very popular converter and suitable for Audio and Video. This tutorial is very useful like other Linux tutorials, you can download easily. Now use the following commands in terminal and install Selene Video converter on latest Linux versions. In view of above tutorial it is very useful like other Linux tutorials, install Selene Media video and audio converter and enjoy.